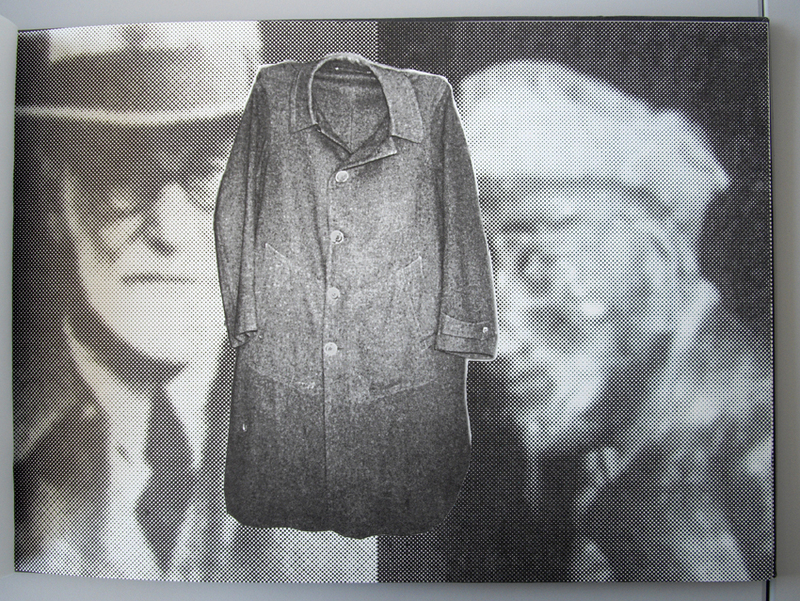 Freud’s Coat was shown at the The Freud Museum, London in 1996. I have been using imagery which explores the idea of a journey and how we use objects to establish ourselves and our identity. I want to suggest how objects anchor our lives in spite of any displacement or upheaval that we might encounter. In Freud’s Coat, Paul Coldwell illustrated his preoccupations with the transformation of the familiar objects of everyday life and the poignant effect of their transportation through emigration. The exhibition focused on a bookwork entitled Freud’s Coat along with two new sculptures, made specifically for the Freud Museum. In the sculpture, The Arrival, the sense of pathos attached to the packing of items for a safe journey is evoked. References, mementoes, displayed in the wall case, suggests a kind of history of desires and aspirations contained in the form of books. The bookwork took the object of Freud’s coat, which was bought for his journey to London, as a central motif and sets it against images of objects from his collection of antiquities and prints. These were woven together, using the computer, with drawings and photographs suggesting a personal life in parallel with an almost oppressive sense of history.